Surprise! There’s a new Usher album! The R&B veteran has decided to follow suit of the latest trend and has only gone and released his eighth studio album overnight. In its entirety, fifteen tracks in all - Will we ever get tired of surprise album releases? No, it appears we won’t. The novelty may wear off for some, however there is nothing like waking up to the news that one of your favourite artists has dropped an album overnight - Anyone who tells you otherwise is most likely lying. ‘Need U (A Conversation with Priyanka Chopra)’ kicks off the album, and unsurprisingly features a conversation with… Wait, yes, you guessed it, Quantico actress Priyanka Chopra, a selection that is as random as it sounds. Rappers Young Thug and Future add to the small selection of features on tracks ‘No Limit’ and ‘Rivals’, the latter of which is probably my favourite track from the album. Catchy and hugely reminiscent of the 1990s-esque Usher we all know and love, Rivals taps into his indistinguishable R&B roots and carries deep contextual meanings within its syncopated beat. It’s a true return to form for the R&B connoisseur, and it was one of the main reasons I was looking forward to this album in the first place. Tracks such as ‘Crash’, ‘Tell Me’, ‘Bump’ and album title track ‘Hard II Love’ follow suit, each as well-rounded as the other. ‘Bump’ is a song reliably crafted with signature Usher fashion, and would make a perfect addition to any R&B lovers playlist. ‘Tell Me’ is almost certainly a favourite - this is the one track that has been left on repeat since the album dropped. Usher’s vocals are pristine and faultless. Is there another male singer that can hold notes like Mr Raymond? I think not, only Chris Brown comes close in that department. I have to admit, on first listen of his latest LP I was slightly underwhelmed but since then I’ve had the chance to fully submerse myself within the music and so have changed my tune, but only just a little. 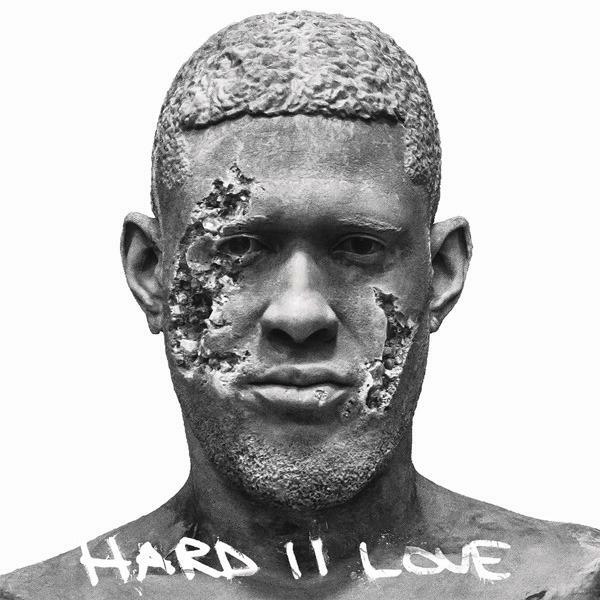 It’s difficult to accept the fact that no Usher album will come close to the perfection of Confessions, as there are only so many ways artists can reinvent themselves, but if anything, Hard II Love is definitely amongst his most cohesive work to date, although I feel as if he could have done much more. I know it’s unfair to demand another Confessions when he has clearly passed that stage in his career and has evolved with the times, I just hope that’s a good thing. However, for an artist of his immense stature, I still feel as if he’s trying too hard to unnecessarily “play catch up” with his peers within the genre, despite the fact that 99% of them will have had him all on their walls when they started out. Half of them will have only have started singing because of him, and that says so much on its own. Usher has always been the poster boy, the undisputed king of his clean-cut and noteworthy aesthetic, with credentials and accolades to match. For someone who is so respected and rewarded amongst his peers, I just wish he had stuck to what he does best, as that’s all he needed to do. It’s all a little fragmentary at times and on first listen, I would say it sounds rushed, but considering he has had four years to put this offering together it is anything but rushed. However, on the plus side the album appears to go in eight different directions, and that’s not a bad thing at all considering it showcases his versatility and progressiveness as an artist. Usher may be back, but I still feel like there’s a huge piece of the puzzle missing. The album lacks a magnetising air of mystery which drew listeners like myself to the organic sounds of Confessions, 8701 and Here I Stand in the very first place, but credit where credit is due, Usher has worked incredibly well to curb the attractions of EDM and his transcending attempt at blending his signature R&B with tricky bits of trap and pop synths definitely works in his favour, as the album is far from saturated with autotune. However, the painstaking honesty and discreet rawness of his lyrics that were once his calling card, have effectively been encapsulated and cocooned by his need to find “something new”, to the disappointing extent that everything colourful that legitimately matters as such, stays firmly in the background and begins to fade as it gets lost in the black-and-white of everything else generic. I feel as if he’s struggling to find a balance between the two, but for someone as heralded as he is, I just wish the album carried the same agility and ambience as his previous efforts. I am, and always will be “Team Usher”, and music is after all - subjective, but after waiting years for a new Usher album, the album is definitely going to be a grower, that’s for sure. I can almost guarantee that I’ll most likely be listening to this for months to come, I mean I’m already on my fourth listen and I’m warming to it at a rapid pace, so I guess that proves a point. All things aside, Usher, is, and will always be an undisputed music legend, there is no other male R&B artist stepping on his turf, but with that being said - the hunt for the “old Usher”, so to speak, still indefinitely continues. This Usher may be current, fresh and in with the times, but it may not necessarily be the Usher that everyone loves. Must Listen Tracks: Rivals, Bump, Stronger, Tell Me, Crash. To listen to Hard II Love on Tidal, click here. Hard II Love is now available worldwide.